The “Old Town Hall” of Leipzig can truly be said to live up to its name – the cornerstone was laid in the year 1556! 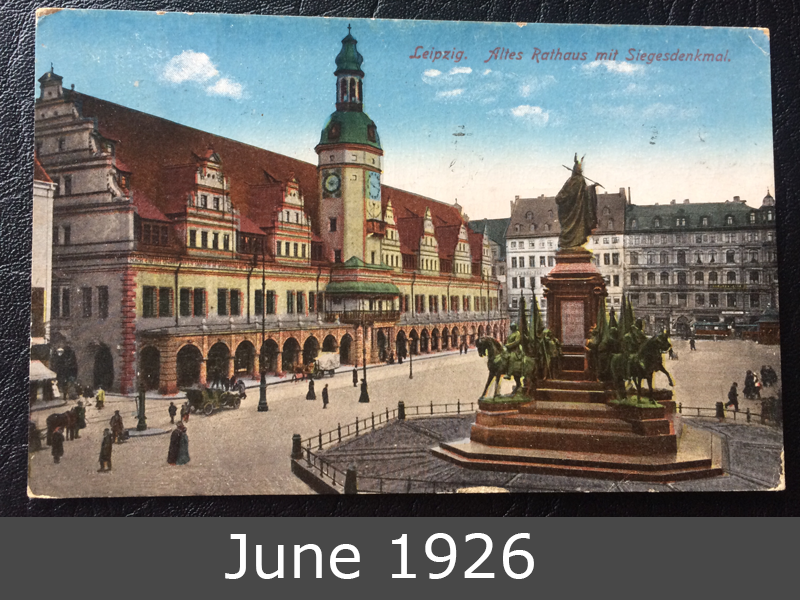 Since 1909 it has served as the Museum of City History of Leipzig. The building includes a ballroom, which is 53 metres long. It has been used in the past for the royal festivals of Saxon’s princes, patrician weddings, craftwork festivals, and student balls. 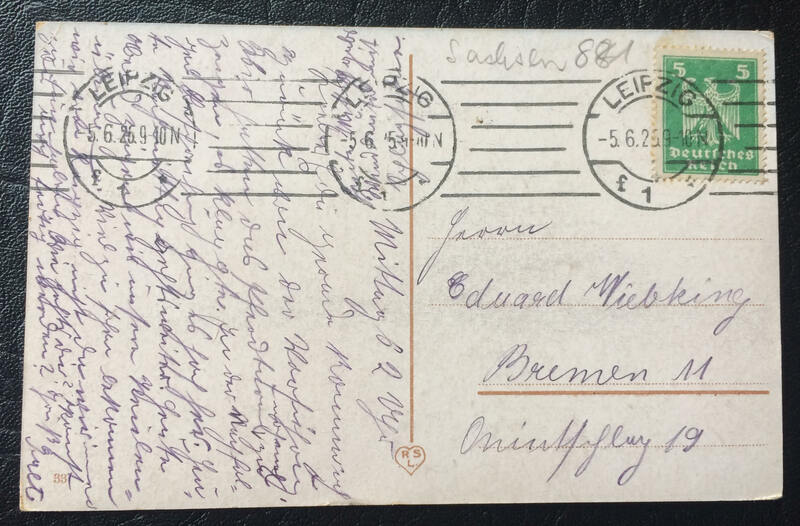 This beautiful postcard goes to Bremen.